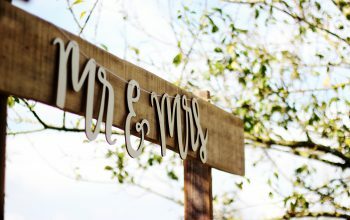 Back in 2017, an article was featured in the Autumn edition of Composting Chronicle, where Master Composter, Kym Barratt, embarked on the challenge of using a selection of compostable tableware for her wedding. The range of items included paper plates, bowls, wooden cutlery, unbleached paper napkins, a variety of drinking glasses and even balloons. 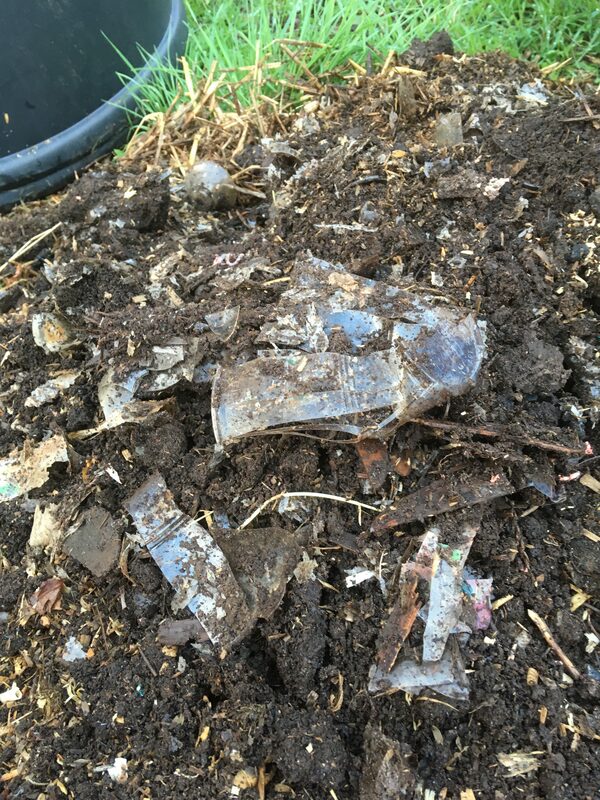 “I recently emptied out the contents of my compost bin and discovered to my disappointment that the majority of items aren’t yet composted and as you can see from the photos below, most are actually still recognisable. I managed to get the compost bin good and hot in both the summer of 2017 and 2018, using lots of fresh green material from the allotment. I’ve also turned it over a number of times but realise that the paper cups, plates and wooden cutlery have only rotted down from the centre of the heap. The wine glasses have also had some success at the centre of the heap but the pint and half pint glasses, along with the balloons have barely deteriorated at all. “Having gone back to the websites where I purchased the items I realise now that I didn’t perhaps do enough research before ordering. The company that sold me the glasses which are made from PLA (polylactic acid – a plastic substitute made from fermented plant starch) do clearly state that PLA is not suitable for home composting, except possibly in a hot compost bin. “The other company I bought from were slightly more misleading, although I don’t think deliberately. The balloons were described as biodegradable and in the main description state that they could take years to degrade, but later in the specific instructions they state just ‘a few months’. The cutlery was described as home compostable, but they haven’t completely broken down in the 20 months. Even those in the centre of the bin are still recognisable, although quite crumbly, but those around the edges and at the top have barely broken down at all. I have since emailed the firm and they have asked to speak to me which I am happy about. Kim raises a very important question, where should we dispose of all the new compostable products emerging on the market if they can’t be composted at home? These items are designed to be environmentally friendly and are often sold at a premium for that very reason, but unfortunately, they don’t fit into our current waste streams. In order to be certified compostable under the EU standard for compostable packaging, items must be fully compostable in an industrial in-vessel composting facility, within 12 weeks. In these facilities the materials are mixed with organic waste, such as food or garden waste and the temperature and humidity etc. is fully controlled during the process. However, we don’t currently have a food waste collection in Leicestershire and materials from our garden waste collections are composted in an outdoor open-air system which isn’t suitable. And whilst there are some packaging materials that are certified and labelled as home compostable and are absolutely fine to be composted at home, it’s important to note that these items are not suitable for garden waste collections. 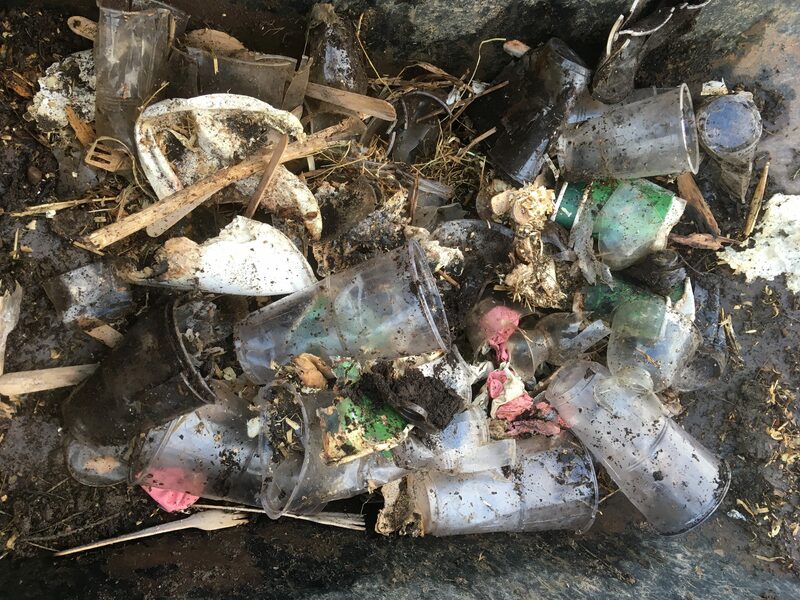 This is partly because they would be seen as contamination – the collection crew are unlikely to know if the material is compostable – but also because the open-air system would allow waste to be blown around causing littering and harm to the environment. Conversely, biodegradable and compostable packaging is not wanted in the recycling system either, as it has different properties and will contaminate and spoil the material for recycling. Sadly, this means that, unless you live in the catchment area for a dedicated collection – compostable packaging manufacturer, Vegware, do this in some areas – the only option for biodegradable and compostable packaging (unless suitable for home composting and composted at home) is for it to go into your general waste for disposal. It’s certainly worth bearing this in mind when purchasing these items, especially if they are costing you more in the first place.